Colleges and universities LOVE applicants with volunteer experience. These opportunities tell how the high schooler used his or her time, in other words, how the young adult spent his or her hours outside of books and traditional learning environments. In fact, some colleges value community service so highly that they are offering scholarships for accomplishments in service. And, some states--like ours--require volunteer service for merit scholarships. Knowing what universities look for regarding community service and researching your state's merit scholarship may prove beneficial to your high school learner. Al Nunez, Director of Admissions at Illinois Institute of Technology, was interviewed for the November 12, 2013 issue of U.S. News and World Report. In that interview he encouraged students to highlight their accomplishments. Volunteer opportunities offer opportunities for high schoolers to learn more about themselves and impact the lives of other people. Community service may provide leadership opportunities. Colleges and universities are looking for applicants who have taken on leadership roles. High schoolers preferring hands-on, experiential learning with interpersonal interactions can thrive in these environments. Truly, this can be an area where kinesthetic learners can thrive. Service opportunities can help high schoolers fine tune what they enjoy, how they learn best, and what career field they may want to pursue. Volunteer opportunities also make great experiential stories for application essays. When the time comes to request letters of recommendation for college admission, professionals and supervisors who have worked with the high schooler through volunteer opportunities may be willing to write on the applicant's behalf, commenting about work ethic, acquired skills, and character. As evaluators, we've enjoyed the company of high school young adults who've benefited from the volunteer advantage. One particular young lady we know served thousands (no exaggeration) of hours which provided her a competitive advantage and helped her land a $25,000 scholarship. Service hours are just that, opportunities to serve with a sincere heart. They are not requirements or obligations to meet. Often there are people on the receiving end and those people matter. People are not projects or resume enhancements and they don't want to be served with that type of attitude. When volunteer hours become boxes to check off, they are no longer means by which to serve with empathy and compassion. In addition, often community service becomes a means by which the parent-child relationship is strained. We all fall into the nagging "Did you log your hours?" trap at one time or another. Stress and fear will affect our high schooler's attitudes toward service. When we do, it is time to back up and reflect on that matters. Volunteering, like many other aspects of the high school years, is another venue to build relationship and communication skills. Brainstorm ideas together. Talk about volunteer etiquette. Role play requests or phone interviews. These ideas may be talking points. help with registration and water distribution for marathons and fun runs. gather crayons, small tablets, or other items for pew packs to be given to small worshippers. Like many aspects of the high school experience, not all colleges require or put equal weight on the same admission requirements. Princeton ranks admission requirements here. Research and knowledge are important. What is beneficial to one learner will not be beneficial to another. Will volunteer and community service benefit your high schooler? The answer will be unique to your high schooler and may be only conversations and clicks away. Your efforts will make a difference, not only for your high school learner but also for the people who are blessed to benefit from his or her sincere service. YOU can celebrate high school! The contents of this post are meant to share personal experience and are not intended to be legal or educational advice. To keep track of the volumes of work samples for four learners, I am trying something new this year. Well, it isn't really new. I tried it before, but unsuccessfully. I decided to give it another try. Different season. It's working...so far! In our state, statute requires parents to keep work samples for their children. With four learners, the pile of completed work on my kitchen table grows daily. Books read. Papers completed. Field trip brochures. If I don't tame the pile, it can get the best of me. This year, I am keeping my log of activities (another statutory requirement for our state) on the kitchen table where I can log conveniently. After logging, I place the samples in a plastic tote. Then, sometime over Christmas break, we will have a family sorting party. Each child will receive a binder for their samples. I pass out plastic sleeves for odd-shaped treasures. At the end of the sorting party, each child's portfolio begins to take shape. To lessen the stress, second semester work is placed directly in the binder after it's been logged. The end result will be a portfolio ready for our annual evaluation. Samples. Every family interprets the meaning of samples differently. In 24 years of doing home education annual evaluations for other families, we've seen the full range of freedom in terms of samples. One family will bring 5 work samples for each subject while another family brings every.single.paper for every.single.subject. That's the freedom of the law. Parents decide what is needed for their family. Sample examples. Traditional math lessons come to mind for many. It is what we remember from our school days. Yet, when considering other subjects in light of the variety of educational philosophies held by parents, the possibilities for samples grows. For families with a Charlotte Mason philosophy, there will be book lists and sketches, maybe a nature journal. For traditional textbook families, there will be notebooks of answers and solutions and lists of spelling practice. And those who learn on the road? They may have photos and travel brochures to attest to their learning highlights. Some families happily eliminate paper, capturing everything digitally. In recent years during evaluations, we've swiped I-pads to view scanned work and flipped through PowerPoint presentations of field trips. Other families design digital scrapbooks. In our digital society, portfolio possibilities continue to grow. Be creative! If your family is learning on the go or on the road, consider how you might take advantage of digital technology. What about high school portfolios? I get this question often, especially since families come back to us year-after-year. As those families move into the high school years, they begin to feel the pressure of credits and college admission. To ease the pressure, I remind them that the types of work samples saved really doesn't change. The point of the portfolio is to show that the learner has made progress at a level commensurate to the ability (at least in our state). Though the work samples saved during the high school years is generally the same as the elementary and middle school years, I do encourage parents to take special care to log titles and authors of books (in a digital document for easy interfacing to other documents) as well as community service hours (documented on company letterhead). Doing so can save time in the late junior and early senior year when families begin gathering college application documents. Taming paper trails doesn't have to be a full time job. I found doing a little bit each week helps keep my long-term sanity. I know you can tame yours as well. Perhaps keeping work samples in one place is a next right step in the positive direction. I had one of those moments. My second son applied to a local state college almost six years ago. Admission was smooth and relatively easy compared to the essays I had to write for our first son's application to a highly selective university. Though I haven't personally had a student apply to college for several years (I am excited to be doing so again as we graduated another senior this year), I stay in the loop by researching and continuing education because of the privilege Mike and I have of walking along side parents as they help their learners take their unique right next steps. Keeping in the know is what we love and enjoy! This week I was reminded of the misinformation which continues to circulate. It happens innocently with the greatest intention being the offering of assistance one person to another. However, though well-intentioned parents (and "experts") may offer their insights and experiences, it is important to remind one another to do our own research and recheck sources. It never hurts to ask more questions. For example, when our son applied to the local state college six years ago, the only requirements were a test score (ACT, SAT, or CPT--now the PERT) and a final home-generated transcript or affidavit of high school completion. This week, however, I learned another requirement has been added: a copy of the student's original Letter of Intent filed with the district when the home education program was established. A requirement was added since my son applied. I could have easily given parents errant information, unknowingly of course. However, my intention is to always provide families with as accurate and up-to-date information as possible, hence I was prompted to do a bit of research after talking with several parents. Without a refresher--research into current requirements--I could have easily passed along misinformation to other parents based on what I heard instead of what I knew. Let's encourage one another to empower ourselves. In addition, keeping track of important papers is necessary. As Mike and I are scheduling annual evaluations, often parents mention they "have no idea as to where the learners Letter of Intent has been placed." After learning of the new requirement (at least for this state college), I see the importance of us reminding one another (gently) to be mindful of where we place legal documents. Yes, indeed the county might have a scanned copy to pass along as a replacement, however, personally I feel more comfortable knowing all my documentation is in one place--perhaps a digital file or a paper/accordion file folder. Older children and young adults can learn to keep and organize their records and paperwork as part of this process. Let's encourage one another to keep track of necessary documents. Our actions impact our children. Having adult children, I understand (with new fervor) the importance of teaching and encouraging my younger children to empower themselves--the hows, wheres, and what fors of finding reliable sources, collecting information, and solving problems. When children are encouraged to empower themselves, and see parents empowering themselves--asking questions, identifying problems, and then seeking out and finding solutions. They've lived and experienced the results of personal empowerment. Let's encourage one another to empower our children. Tis' the season for future thinking and college applications. This season can also be a season of disappointment and frustration. Seeing Facebook posts of acceptance letters and appointments, I can’t help but think of the high school young adults pondering a future which doesn’t include dorm room decorating and walk-on athletics. These young adults--though they may have worked very hard--may feel unsuccessful, even second-class due to the individuality of their next steps toward the future. Hence this season—a season most people associate with celebrations—can be time of awkwardness and discouragement. But it doesn't have to be! When we open our eyes and hearts to other possibilities--alternative, but no less significantly successful high school journeys and culminating celebrations--young adults have innumerable opportunities which may be better suited to their strengths and giftings. Acceptance letters are not the sole means of successful transition to a young adult's future. The Scholar. Scholars are not just learners; they are specialists--continually seeking to dig deeper in a specific area of interest. There is an aptitude for learning and time is made for accelerated or advanced degrees. In addition to researching and fulfilling the college entrance requirements for the young adult's top university choices, honors courses, dual enrollment, CLEP/DANTE/AP testing, and discussions or networking with professionals in the field of interests may also be helpful. The Entrepreneur. Ideas. Strategy. Product analysis. These young adults grew up dreaming of starting a business and in fact may have started one or several during the middle or high school years. Young entrepreneurs may benefit from connecting with successful entrepreneurs as well as with other entrepreneurial-minded peers. In addition, these young adults may spend time at the library or online reading current issues of business magazines-- Inc., Entrepreneur, or Fast Company--or reading small business blogs. Consider looking for local opportunities where the entrepreneur might be able to attend small business seminars or entrepreneurial events. Job shadowing a business owner or two might be another consideration as well as offering time in the day for the young adult to research successful business practices, managerial/leadership qualities, and marketing or growth strategies. Some high school learners find having a mentor helpful. Having had two entrepreneurial/business-minded young adults, these were helpful resources for our learners. Entrepreneurs may or may not decide to pursue post-secondary education. The Athlete. Most little leaguers dream of the big leagues--the pinnacle of achievement for athletes. In fact, we've known athletes who played through elementary and travel sports to high school athletics hoping to fulfill this dream. Some athletes indeed did move on to more competitive collegiate play. Others decided to hang up the cleats after their senior year. For young adults who desire to pursue sports after high school graduation, special attention to the new NCAA requirements is a must. Though an athlete may choose a college outside the NCAA, staying up-to-date is wise. Plans change, sometimes last minute and eligibility is dependent on completion of specific courses. Having had three athletes, we never wanted to short change a student-athlete. In fact, all three took different paths; none ended up playing collegiate sports. In addition to action on the field, we have known learners who read autobiogrpaphies and biographies of athletes they admire for high school credit. Possibilities include A Life Well-Played (Arnold Palmer), Through My Eyes (Tim Tebow), Out of the Blue (Orel Hershiser). One of our athletes enjoyed Between the Lines: Nine Principles to Live By and The Mental Game of Baseball. The Creative. Creatives see the world differently--in words, colors, graphics, texture, line, or shapes. These young adults think outside the box and craft from incredible minds. Hence, their paths through high school might include preparing a portfolio, building a client list, visiting studios and exhibitions, experimenting with media, shooting thirds for a photographer, writing copy for publication, working at a hobby shop, creating art for a gallery, volunteering time to create graphics for church media or publication, or selling stock photography. All of these experiences may become part of their high school course work, and the contacts them make along the journey may provide avenues for employment after graduation. The Creative may decide to attend an art or music school, open a studio, spend time with a master artisan, or start a business. 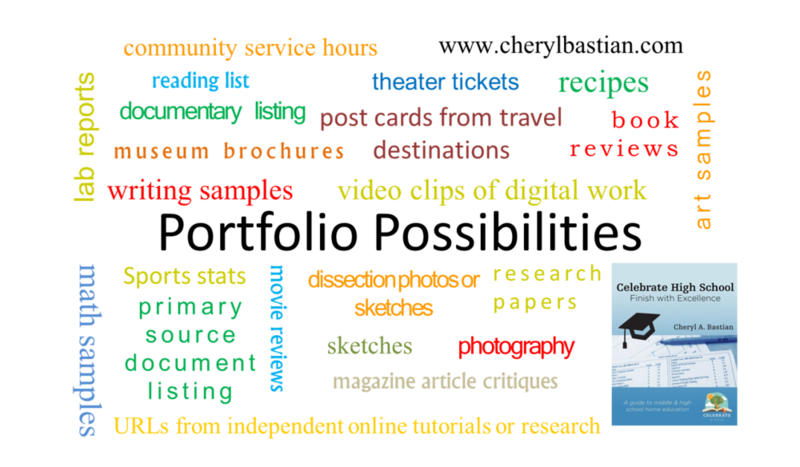 Many of these experiences make great activities for elective credits. Post-secondary educational experience may or may not be part of the Creative's future. The Apprentice. Apprenticeships offer hands-on, experiential options to young adults who need to learn from masters or professionals in a field of interest. Though apprenticeships are not as popular as they were years ago, apprenticeships offer on-the-job training--and often some classroom instruction--for young adults interested in highly skilled work in healthcare professions, engineering, manufacturing, culinary arts, telecommunications, trades (welding, electrical, carpentry, plumbing), and service careers. The apprentice may train under a skilled craftsman, trained healthcare worker, or licensed professional to learn essential skills important to a particular job. Time devoted to apprenticing can vary to up to four years. Some apprenticeships may require certain math and science high school course work or required scores on HSPE (High School Proficiency Exams). The Intern. Internships are an excellent means by which young adults can investigate career fields of interest and learn new skills. Internships can be formal or informal, part-time or full time, paid or unpaid, but are generally offered by an employer or institution for a specific amount of time. Most are considered entry level. Although university internships were traditionally offered to undergrad or grad students, there are colleges who open internships to high school students. Research the availability at local universities, as this is a growing trend. For a hands-on, experiential learner, an internship might be an excellent next step. If interning seems like a good fit for your young adult, consider the points made in this US News and World Report article. There is great possibility several paths and means will overlap. For example, the Creative may also be the Intern, learning alongside or assisting a concert musician, graphic artist, or professional photographer. And, the Intern may also be the Scholar, gaining cutting-edge skill in a science or engineering field. Remember, these are not the only possibilities for today's young adults. Just as all young adults are unique, so will be their high school paths and future plans. Not every high schooler will follow the same learning route, nor will they have the same next right steps. With a changing economy, growing knowledge base, and evolving ability for satellite employment, there are ever-growing career opportunities. I wonder what those will be for our young adults? Yes! I would love to receive the Celebrate High School newsletter! Sign up with your email address to receive news and updates for all things high school. How are elective credits documented? The answer to this question depends on your state's home education law as well as what college or university choices find their way on your learner's "top ten" list. Your family's record keeping methods will also factor into answering this question. This was definitely the case for our family. For our family, if a learner has a distinctive interest or an extraordinary gifting--something they naturally spend a good amount of time researching and learning (for us 75 hours for a half credit and 120+ hours for a full credit)--we count if for credit. I personally do not label or flag courses as core or elective on our transcripts (I do however flag dual enrollment, CLEP, or courses taken at other accredited entities). Too many colleges access transcripts differently to flag core and elective courses. What one considers a core course, an academic elective, or an elective another will classify differently. As a learner is actively involved in the the learning process, I keep a bullet point list of the concepts learned or experiences completed on a digital document. From that bullet list, I can write an accurate title and course description should we need it for university admission or scholarship applications. Once the course is complete, I add the title, grades, and credit to the transcript--a one-page snapshot of the young adults academic record. Elective courses often set one young adult learner apart from another, especially if potential applicants have similar, cookie-cutter type elective credits. What strengths, interests, or giftings do your learners have which might equate to credit. Some of the courses our learners have completed include Care and Concerns of the Elderly; Drafting and Drawing; Competitive Gaming; Business and Entrepreneurial Principles; Introduction to Early Childhood Education; Nutrition and Health for Disease Prevention; and Interpersonal Relationships. These off-the-beaten-path have proven to give our now adult children life skills they may not have received otherwise. In Part 1, I offered helpful tips about finding and recording elective credits. "What are some common titles for elective credit in high school?" Before considering titling, one must understand the difference between core and elective courses. In addition, understand that these are terms used in the educational world. As home educators, it has helpful for us to understand "education-eze" as well as what is and isn't required by our state statutes. It has been equally helpful to know that colleges use "education-eze". Though some colleges and universities are hiring home education admission personnel, some admission advisers at other institutions are not always versed in the statute requirements. Core courses are courses which must be taken or are required for graduation. Typically, core courses are English, math, social science, and natural sciences. In addition, some schools will require additional credit--in addition to the core content areas--to be taken in world languages, the arts, computer science, and physical education. Electives are courses students chose to take. Electives allow a learner to customize his or her education, to build on a strength or interest, or to investigate content not yet studied in other courses. It is the elective courses which often strengthen the high school transcript and round out the student while also telling employers and admissions about the interests and strengths of the learners. Some educational entities use the term academic electives for admissions. An academic elective is a core course taken above and beyond the required academic courses in that discipline. For example, if a leaner completes the three math courses required for graduation (or admission) in the mathematics core academic area--let's say Algebra I, Geometry, and Algebra II--but decides to take another academic math course from the core choices--Trigonometry--the fourth course could be considered an academic elective, if the educational venue recognizes academic electives. When I wrote the first edition (who remembers that first spiral-bound resource?) Celebrate High School I included a sample list of potential course titles--both core and elective. When I published my extensive revision in 2015, I expanded my list based on our experience and the experience of those with whom we work. For this post, I am pulling potential elective course titles from that 2015 revised list. I am NOT including courses most often considered core academics--for example, Calculus or British Literature--though those core courses could be used as electives--and often are by home educating families. When our young adults are reading, working on research, studying content, or participating in an experiential opportunity, I search for potential titles in the course codes for our state. If I can't find a title or course content in that resource which is close to what our learners are studying, I search for high school courses (or in some cases college courses) from across the nation. Those resources usually allow me to find a title--or at least give me a springboard--which accurately describes the content being learned. Needing to know more about documenting elective credit work for college admission paperwork? Check out part 3. Add me to the Celebrate High School newsletter for more great tips! Have you ever been through a tough season, a season when you wonder if anyone learned anything? I have. More than once. About three years ago--from January to May--we helped care for and love my grandmother in the last months of her life. I don't regret one day, one minute of how we chose to spend our time. We made wonderful memories with Grams during that time, memories our family relives and smiles over--all of us. But, it wasn't an easy time. The six months prior, found us spending many hours touring assisted living facilities and government-subsidized care units. There were meetings with social workers and property managers. My high school learner asked if she could be included in the tours and meetings. At first, I wondered how she could accompany me and complete her scheduled course work. After a few conversations, Mike and I decided there was great value in our high schooler participating in the meetings, discussions, and comparisons. After all, she may be able to add a perspective my mom and I--being very close to the circumstances--might not be able to see. In addition, she was a consumer and might one day be faced with similar decisions. I was worried our daughter wouldn't be able to make visits and meetings with us and get her planned work completed. I was fearful and tentative. However, Mike and I decided there was life value to this season. Our high schooler would accompany my mom and I. Fast forward to the end of May. After some really difficult months, Grandma passed away. Being the end of May, I was compiling work samples for our year end evaluations and updating my high schooler's transcript. In the process, I asked our daughter to look over the transcript and her portfolio of work samples to determine if I had missed any significant work she had completed--especially independent studies--while my mind was preoccupied with Grandma. "Couldn't I get credit for all I learned while helping with Grammy?" I answered with a question. "What do you think you learned?" I was astounded by her answers. We talked for thirty minutes (at least) about all she had learned and experienced, first-hand, experientially. Not only had our daughter interacted with--playing games, conversing, and caring for--Grammy and other residents several times a week for several months, but she had also made visits to seven facilities and compared the offerings, care, staff qualifications, and financial costs of each. She helped us research at home and we brainstormed questions we would ask at each meeting. When our daughter visited with us, she asked questions and held conversations with staff, helping us understand the pros and cons of each location. Near the end of Grammy's life our daughter visited three hospice care facilities and listened to three presentations regarding choices we would have to make as a family. In addition, she observed how people processed Grammy's declining health and eventually her passing--from my parents to her youngest siblings--as we visited, asked questions, processed grief together. I couldn't believe what our daughter had learned! None of it was planned. And, I almost missed an opportunity to use her interest--a real-life situation--as a catalyst for learning. My daughter wanted to be an active participant of this season in our lives, and it was some of the most valuable learning she could have done that year. Could she earn credit for all she had learned? In our state, that final answer rests with Mike and I. We confer the credit. we sign the transcript. This is not the case for all states, so research is essential in regards to state requirements. I also had to determine in my mind--really Mike and I together--whether I could feel confident in the credit we were giving. Would I--or my daughter should she be asked to explain her course work in an essay or interview--be able to substantiate what our daughter had learned? Did I feel the content was high school level or higher? After researching high school courses (there really weren't but one or two) and content of college credit offerings (this was more helpful) as well as asking questions of professionals in the field, we decided to give our daughter one-half credit for her learning and experience. For readers with young adults interested in this field, in my research I learned the Red Cross has a family care-giver course. To document the content covered, should our daughter need it for college admission, I wrote the following course description of what she learned. This experiential study was initiated by the student as a result of the direct care and concern of her ninety-five year old great-grandmother and her health and care needs during the last nine months of her life. The student interacted with elderly patients at in-patient care centers several times a week. One visit included making and delivering Christmas cards. During the student's visits she served cake and punch at a birthday party, helped residents participate in an Easter egg hunt, escorted patients through a nature garden, played card and board games with patients, and sang Christmas carols with a group of parents and students. As the great-grandmother required complete care, the student researched, visited, and compared nursing care and living accommodations at three local assisted living facilities and three hospice care units, participating in discussions of how to match patient needs with patient care. The student also participated in discussions about blood transfusions, intravenous nutrition, end-of-life care, death, and the grieving process. What real-life circumstances is your young adult facing? Do these experiences include internships, community opportunities, or apprenticeships? Do these circumstances or experiences provide high school level (or higher) instruction or content? Perhaps your young adult is experiencing something extra-ordinary, something which will impact life--and other people--far beyond the high school years. There may be job shadowing, internships, community opportunities, or apprenticeships involved in the learning. Lives might be changing because of your young adult's learning experience. Might you consider what those experiences are, how they are impacting lives, and how might they equate to credit? Transcript Matters: More than One Transcript? I field a good number of transcript questions each month. In this post, I will address another question I received several times in the past few weeks. "What if my high schooler received some credits at the local public school, some through an online venue, and still others through dual enrollment? Do I need to create more than one transcript?" Great question. Home educated students have a variety of different environments from which they could possibly learn. Some of these entities are transcript-producing entities, meaning the entity is accredited and provides educational oversight and responsibility for students who take classes through their venue. Others do not produce transcripts (some co-ops and support group opportunities, private instruction and tutoring, church courses and seminars). First, it may be helpful to understand what a transcript is. A transcript is a permanent academic record which includes all grades conferred to the named student. It represents the student's academic record; a visual summary of the student's high school years. 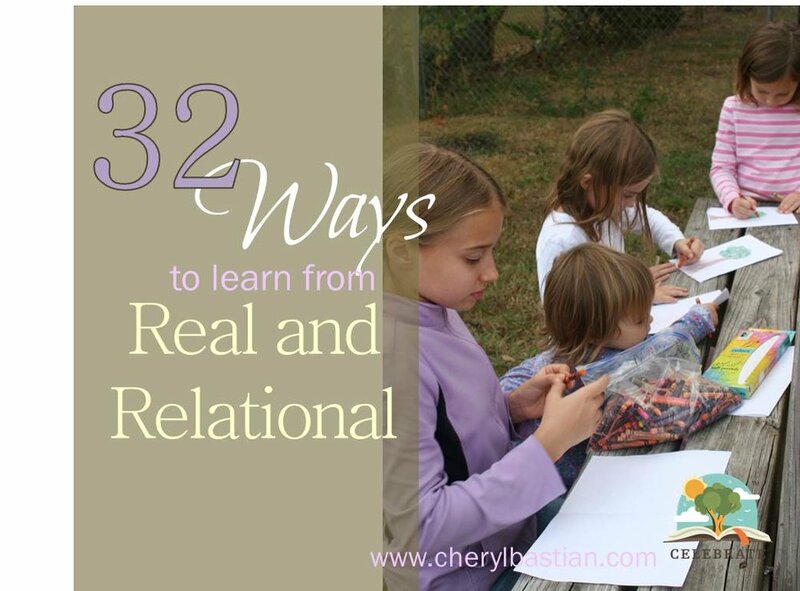 As the homeschooling parent overseeing your young adult's learning, you know your learner's academic record in its entirety, both in the home and away from the home. You know when courses were taken as well as which entity provided oversight for each class, whether it was an accredited transcript producing entity or not. You know whether some credits were earned at the local public school, and whether the course included CLEP or AP content, if the corresponding tests were taken, as well as what scores the student achieved. Yes, other entities may have conferred grades and credits, but you alone know where and when those grades and credits were earned. The parent-generated transcript you provide not only validates the courses, grades, and credits received directly under your supervision, but also offers employers and universities an overview of course variety and environments from which the student benefited, in and out of the home. Therefore, every course, grade, and credit is documented in one place--on the parent-generated transcript. It will be the parent-generated transcript which alerts any employer or university that they will receive transcripts from other entities. With four high schoolers, two grads who entered colleges and universities by differing methods and means, we have experienced this first hand. And, we have helped others walk through answering this question as well. In every case, having all courses--no matter where they were taken--documented on the parent-generated transcript was helpful in the admission process. How did we denote courses taken outside the home? "Was this course taken under the oversight of a legally recognized transcript-producing entity?" If the course was taken at such an entity, we flagged the course on the transcript, meaning we added some type of notation super-scripted above the grade. Then we added an explanations of the flags under the grading scale of our transcript. For example, all of our high school learners completed foreign language online through an accredited source. I didn't create the course, its content, or grade the work. This was all provided by the online instructor. As the parent overseeing the education of my student (outlined in our state statute), I knew the course was taken and that the source was accredited by the state, and is a transcript-producing entity. I added the course to my parent-generated transcript to provide colleges with the information that the foreign language requirement was met. However, my superscript alerted the colleges that they would be receiving an additional transcript for admission purposes. Courses taken in the home as well as outside entities. For some students, there may be several superscripts. I worked on a transcript recently for a student who had taken courses at the local public high school, a private school, an online public school, and a state college. The superscript above the corresponding grades provided admission personnel with a quick, concise picture of where this student had received her high school requirements. The parent-generated transcript not only validates the courses, grades, and credits received directly under the parent's supervision, but also offers employers and universities an overview of course variety and environments from which the student benefited, in and out of the home. If you have questions like the one presented in this post, connect with us. Mike and I would love to help you on your journey. 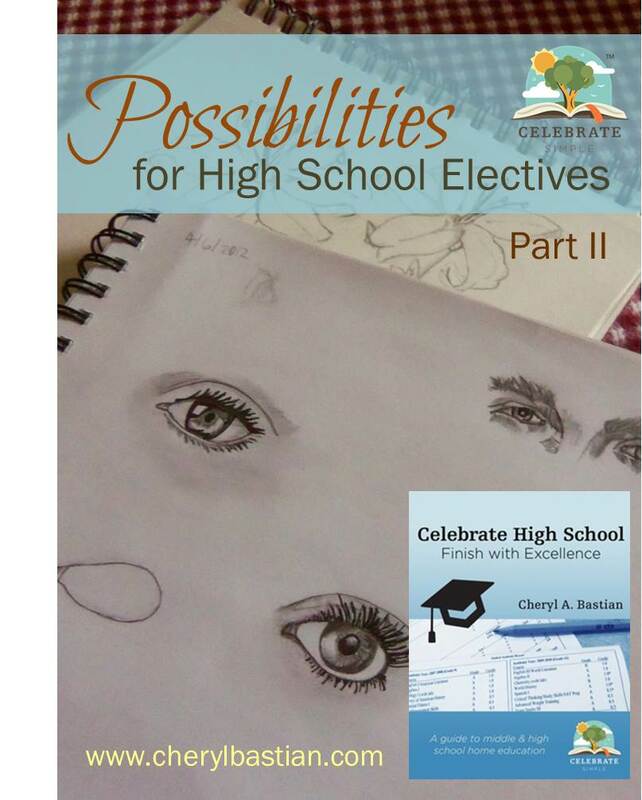 We publish Celebrate High School newsletter for families considering or currently walking the high school journey. You can subscribe to that newsletter below. Sign up with your email address to receive high school news and updates. Great to have you back for post #3 in this four-part series on college admissions. In part one I talked about preparation. Part two offered insight on admission must haves. In this post, the third in the series, I will look at the details of some of the paperwork colleges may require. Admissions paperwork for homeschoolers may differ from public or private schooled applicants. It will definitely vary from university to university. Therefore, being knowledgeable about the potential paperwork which may be needed is helpful as the high school years approach and move forward. I remember when--eight years ago--my first high schooler was in the midst of applying to his top colleges of choice. It was August of his senior year. I had researched, been to workshops, talked with moms. Not all I had learned and heard was needed. Yet, as we sat at the computer working on forms and paperwork, I was thankful for pockets full of potential. I remember joking with my son about how I had no way of knowing what cards we would have to play but I was grateful we had a deck from which to choose! Transcripts. A transcript is a summary--a visual representation--of a young adult's high school academic record. This paper will represent your student, the student's educational experience, and your homeschool. Universities appreciate transcripts which are concise, presented in a clear, easy-to-read format. A professional looking transcript allows universities to take your homeschool seriously, like, "This family knows what they are doing." Like mama used to say, "The first impressions matter." Accurate record keeping provided the information I needed for the transcript, mainly grades, credits, course titles, and test scores. Having all this information in one place helped me pull this document together quickly when a new baby delayed my record keeping and I needed a transcript for a good student driver discount. What about format? This question is asked often. After researching (can you tell I like this stuff?) formats, I created a document I knew would meet our applicant's needs and look professional. I've used the same transcript format for all my young adults as well as the young adults for whom I have created transcripts via consultations and evaluations. The format works. "This is the best homeschool transcript we've seen," says one highly-selective university. With our transcript template finalized, I simply edit the pertinent biographical information, courses, credits, and grades. This is much easier than starting from scratch every time we add another high school student. Be aware, some universities don't care how the transcript is formatted, others do. Some offer transcript formats on their sites. Flagler College reminds home educated applicants to make sure the person who prepares the transcript to remember to sign the document. Though this sounds silly, I know parents who forgot to sign their transcripts. The document is considered invalid without a signature. Parents often ask me if I include course codes on my transcripts. I don't. I offer a detailed reason why I don't on this blog post. Course Descriptions. States have standards. High schools offer courses based on those standards. A description of these courses is published on the high school's website. If the college personnel had questions, they could access course content and standards (at least in theory). Courses taken at home vary from home to home in methodology, structure, and content giving college administrators no standard for evaluation or comparison. This is a good thing, say homeschoolers. I would agree. However, this is the reason college admission officers considering home educated applicants sometimes require course descriptions to accompany transcripts. These short, concise paragraphs allow college personnel to become familiar with the student as well as his or her academic achievements and interests. Course descriptions serve two purposes. First, course descriptions clarify and validate course content. This is especially true when applying to universities which refuse to accept parent-generated honors courses (which happened to us). Once the admission personnel read a course description, determination may be made as to whether the content is equivalent to a traditional honors level course--in their eyes. Course descriptions also validate a student's academic abilities and achievements. And in some cases (ours included) universities use these course descriptions to determine invitation to honors college or offering of potential scholarship. This blog post about course descriptions may be helpful as you research and discover the requirements of your student's top college choices. And, it will help you learn how to put in words the unique and extraordinary learning which is happening in your home. Reading Lists.This is definitely one of those documents which is not widely requested yet good to be knowledgeable about in case it is needed. Reading lists are not required by all colleges. Fifteen years ago a homeschooling mom, who had graduated two students, told me to keep a cumulative reading list for my then middle schooler. Actually, by our state statute, we are required to keep a resources list, so it really wasn't a stretch to continue in high school. However, I didn't really understand why she was so insistent and I questioned her. She told me a story of how one of her graduates was asked to submit a reading list. Not knowing which universities my son would apply to, I decided I would consider her experience and wisdom and keep the list. Indeed, I needed the reading list. One of the universities to which my son applied required a reading list. WHEW! I was grateful for the wisdom that mom so bravely shared. Only one college required the list. However, I had the list compiled and decided to submit it with every application we sent (those were the "old" days when applications went by mail) because most of the schools he applied to were highly competitive. "read the book, record the book, get the credit." This simple statement extends freedom for our students to select independent reading and earn credit. Keeping the list not only allows a cumulative reading list to be compiled--by academic year--but gives me a tool from which to cut and paste (integrate) student-selected reads into high school courses. Letters of Recommendation. Letters of recommendation are written and submitted by a third party who can attest to the academic accomplishments, work ethic, and personal character of a student. The majority of colleges will ask for letters of recommendation for admission. Each university is likely to request letter from different sources. Be prepared to ask instructors, teachers, band directors, employers, supervisors, pastors, or coaches if needed. Remember, I talked a bit about these letters in post #2 of this series. Essays or writing samples. Universities may require applicants to submit essays, writing samples, or personal statements with the admission packet. Essay topics can often be found on the college website or on the college application. Researching and practicing essay writing before actually submitting an application is helpful and recommended. This blog post offers some of the most common essay questions colleges ask. Bucknell University requires extra writing samples for home educated applicants. Some colleges have a word count requirement for their essays. Therefore, high schoolers may benefit from practicing writing within a specific word count. For example, I asked one of our seniors to write a 500 word essay one afternoon during the first weeks of school. He wrote a first draft in the time and word count limit. A day later, we sat and worked through grammar and mechanics, organization and word choice. We followed up with a final draft. The student was motivated because the content mattered. He wanted to attend the college requiring the essay. Win for the application. Win for composition. We made a copy for his English work samples which were shown to our evaluator at the end of the year. Some colleges ask writing samples from applicants. Amherst College suggests a short writing piece and a research paper. Each piece of paperwork has its nuances and importance, just as every university has its requirements. This post is simply an introduction to each document a family might be asked to submit with a college application. Families can research their young adults top colleges of choice for specific requirements, especially if those choices include military academies. 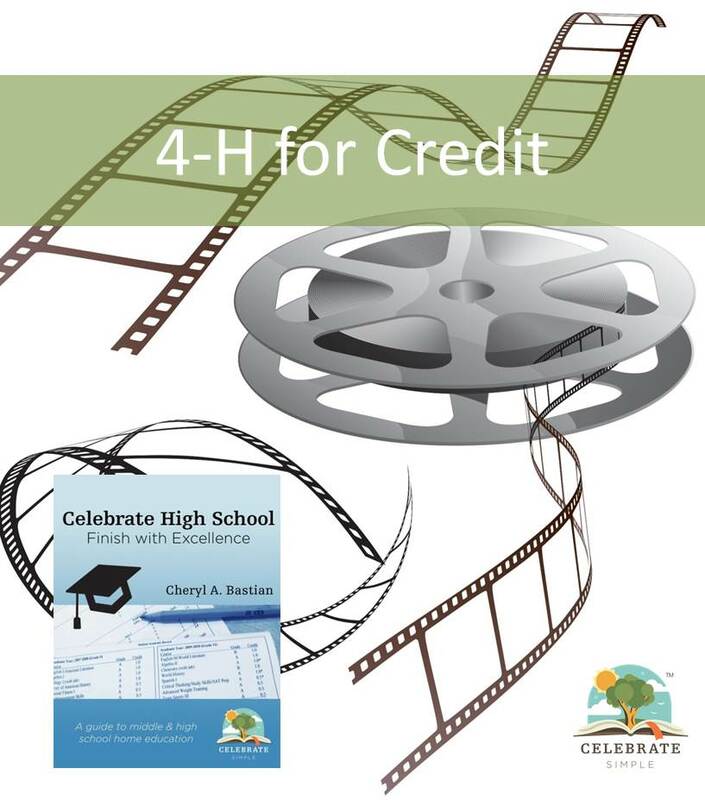 I have written extensively about each of these documents--with examples--in my book Celebrate High School which is on sale until October 7. 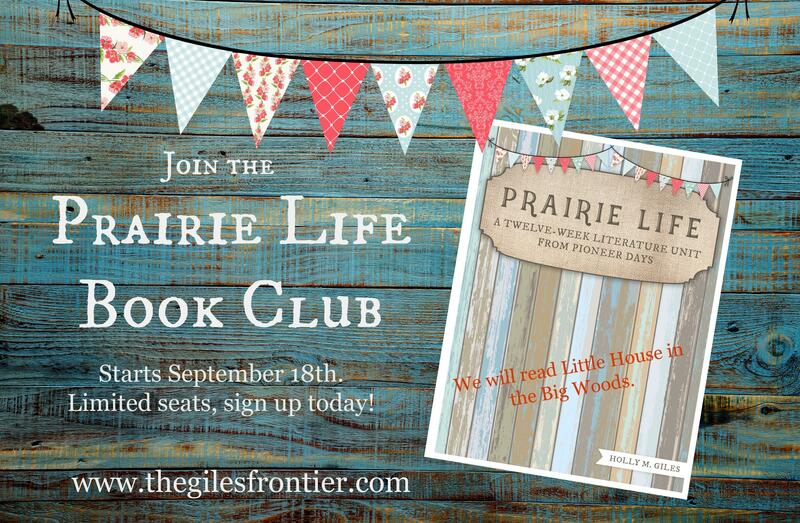 I hope you will join us for the final post of this series, The Big Picture. High school is not a one-size-fits all experience. The journey is unique for every student. Celebrate High School equips parents and students of any educational philosophy with easy-to-follow explanations, ready-to-use examples, and parent testimonials. How do I give grades in high school? This is one of the most common high school questions I'm asked. Often the question is asked with a perplexed, overwhelmed facial expression and clinched teeth. Rest easy! Grades don't need to cause stress. The high school years can bring out fears we didn't know we had. Like grades. Parents versed in grade giving in the elementary and middle school years stop suddenly, wondering if there is something different they need to do. Others, parents who have never given grades, panic wondering if there is some secret to this "language". Grading traditional objective work. I term traditional objective work as math problems or a chapter review in history. It is an answer-the-question, get-the-answer right-or-wrong, type of assignment. These assignments are objective, either right or wrong. There is no room for opinion or comparison to a group. Grading traditional subjective work. These are assignments like essays, where opinion may play a role in the grade given. These grades can be a bit more difficult to assign. For these types of assignments, I prefer to use a rubric--a chart which states specifically how the assignment will be graded, what will be expected, and what point value will be assigned to each part of the assignment. Rubrics have been valuable to our family for traditional subjective work. The one I used when teaching a high school English course is available here for free download. Grading non-traditional course work. There have been some courses along the journey with four high school learners for which there were no right or wrong answers, no percentages, and no rubrics. Some parents may call this a pass-fail course. Other parents call it a completion course. When our son built an 8 foot x 12 foot shed (insert miniature house with plans he drew and had certified by an architect) as part of his Eagle Scout project, the final grade was determined by whether or not he received a certificate of occupancy from the city. In addition, we considered his character and work ethic proven by his communication with sub-contractors, leadership of older scouts, and his ability to progress through the project, meeting permitting deadlines toward his grade. As the parents conferring the credit and grade for this course, we felt his work definitely warranted an A, which was reflected on his transcript for the course Introduction to Building Construction. Grades in high school don't have to cause undo stress. Even after fifteen years of research and twelve years of actively educating high schoolers, I remind myself grades are what educators and professionals know. They are a necessity along the high school journey. What college administrators and employers don't know is the academic abilities of my student or the caliber of study he or she has completed. 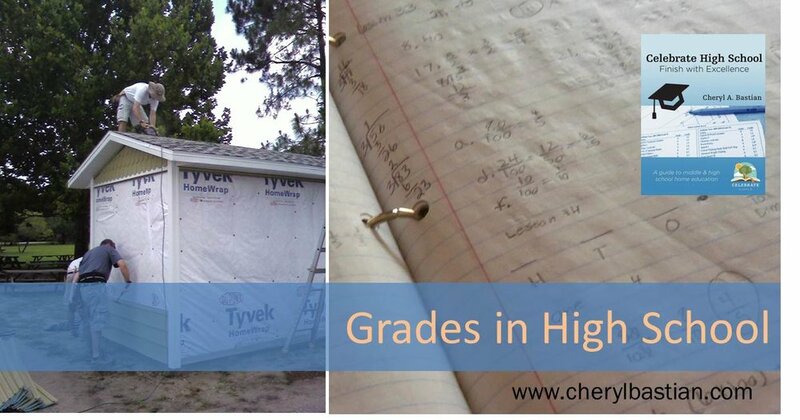 Grades are a standardized means by which to express our student's accomplishments, especially the non-traditional--and often most valuable--experiences our learners have had the opportunity in which to partake. As parent educators, therefore high school guidance counselors, we must find and use the grading means by which the student and the accomplishments can be accurately represented. And in doing so, with the encouragement of one another, we can provide grades for our high school learners. Cumulative Folders, Home Education Style! I realized early in my son's eighth grade year that I would, one day, play the role of guidance counselor for my homeschooled high schooler. I would be the liaison between school (us!) and college. I was the keeper of all things official. From that day on I kept anything potentially important in what I called the cumulative folder. Little did I know how valuable this folder would be. In our son's senior year, when we were in the middle of applying to six colleges--some highly selective--the folder became a gold mine, one of those things you tell people you would grab if the house were aflame. Having all the information we needed in one place saved me time. I am also pretty sure it saved my senior-year mom sanity! No one I knew had kept a cumulative folder of high school records so this was new territory for me. And, I was not a naturally-organized person. To keep our student's cumulative documents (not the work associated with each school year- I kept those work samples in another binder) safe in one place, I purchased a 3 1/2 inch binder and some colored-tab separators to help keep paperwork organized. Armed with plastic protector sheets and a hole-punch, I sat down to begin compilation of the cumulative folder. I started by labeling tabs we needed and then added tabs along our journey. During the junior and senior year as we began contacting colleges, I added tabs for copies of completed applications (print the online application submitted, if possible, for future reference when submitting other applications), scholarship applications (again print a completed application or submitted essays for subsequent applications), acceptance letters, and financial aid notifications. Once our grads entered college, I continued to add tabs for medical records, grades and award notification, and FAFSA and financial aid applications (past applications were helpful throughout the college years). What tabs did we find helpful? These are tabs include all the tab titles we have used for four unique high schoolers (two grads who then completed Bachelor degrees, and two current high school young adults). Not all tabs were needed for each young adult. In fact, some of my high schoolers have little to no cumulative paperwork. Consider your young adult and his or her unique circumstances. Choose a method which complements both the learning, the accomplishments and the college and career goals. If you decide a cumulative folder would be helpful--aside from other paperwork required by your home education laws--these tab titles may be helpful. I am a mama with full days, like many of you. I look for simple and manageable. Though I am about excellence, I also am about simplifying and streamlining. But let's face it, sometimes we have to tackle tough. Course descriptions (CDs), often intimidating, are not always necessary. So, breathe easy. On the other hand, when they are needed, they are usually essential to the admission process. In addition, of all the families I work with, the large majority who were required to submit CDs also received substantial scholarship monies. That is good news, really! So, what if CDs are essential to your student's college admission packet? Parents often confuse transcripts with course descriptions. The transcript provides a one-page snapshot of a young adult's high school course, grade, and credit summary. Course descriptions, however, offer short synopses of the learning chapters in your student's story. Ideally, those course descriptions should complement--add value and give clarity--to the transcript document. Why course descriptions? For students graduating from a public entity, course catalogs (also called course guides or curriculum guides) are available online (used to be paper and had to be requested from the guidance department) and follow the requirements (standards) of that state (or now in many cases, Common Core). Colleges know the set criteria and standards met in the classroom are standard for each course at every school in that state. So, there is no need for each high school to write individual course descriptions for every class for every student. They write one course description--usually posted on their website--for all students, as long as they offer the course. Home education is different. A sculpture class in one home is likely to look entirely different than a sculpture class in another home. One student may enroll in a sculpture class at a local art studio. Another may have been invited to join an artist for weekly mentoring in a private studio. Yet another student may dual enroll a sculpture class at the local college. The same distinctiveness can be applied to a literature course--each home can choose their own literature selections--or a science course--where the student might be invited to take part in a research project at a local university. There is no standard way to meet course requirements (unless your state dictates differently--this post assumes parents have researched and know the home education statute for their state). Hence, some colleges use course descriptions to assess the depth and rigor of a home education course because they know courses vary for each home school. Some colleges ask home education parents to write course descriptions. It is part of their verification process. With the eclectic mix of methods and means home educators utilize, the CDs do bring out the extraordinary opportunities homeschoolers have experienced and embraced. I remember the day a college requested I write CDs. Thankfully, we were early in our high school journey! I could easily remember the exceptional experiences our young adult had benefited from in his courses, variations from more traditionally-taught classes: 10 dissections he completed in Honors Biology at a local co-op. We had also designed courses around independent study, research, and personal reading. Additionally, I had been keeping a reading list on the computer. I could cut and paste those titles into course descriptions as needed. Write course descriptions when the young adult begins the course (even if just the bare minimum is known: textbook, reading materials, anticipated experiential opportunities) and add significant educational highlights throughout the year. When I waited until the end of the year to write the whole description, I forgot some of the most beneficial learning blessings he experienced, no to mention getting my head above the project was monumental, or at least it seemed so when I felt I was drowning. Remind myself course descriptions tell the stories of the courses detailed on the transcript. It is the document college admissions personnel will reference as they consider offering admission, need more information to differentiate one student from another and offer scholarship. A course description is not an outline of the course and will be less likely to read if lengthy. Course descriptions are chapter summaries, hitting the highlights, offering the concepts learned, the teaching methods and resources used, and exceptional experiences in which the student participated. Take note of the unusual and unique. Course descriptions are especially important if the parent and young adult are designing unique courses, courses not typically offered on local school campuses or courses not generally taught in high schools, for example Introduction to Equine Science, Survey of the Building Construction Industry, or Care and Concerns of the Elderly. Record regularly. When I don't, I forget valuable additions. In our busy, full years of adding a Bastian or spending evenings at the ball field, I found it helpful to start a student's course description document and add bullet points to the course titles. Later, when I have time, I can revisit later and edit into cohesive sentences. Tackling course descriptions in this manner helps me remember important details and keeps me excited about what my young adult is accomplishing. When it is not in front of me, I tend to forget. Keeping records current saved me time and headache later. Remind myself there are many ways to accomplish learning (this is true even of the state standards- the standard can be met with very different and unique methods). For example, American History. If two of the many learning goals for a high school level American History class are to understand the causes and consequences of the Civil War and the effects on the American people, and to understand the causes and consequences of World War II in the United States and abroad, the learning possibilities of how a student will understand those concepts are vast and plenty. Chapters in a text could be read and summary questions answered. On a family vacation up the East Coast of the United States, the family could visit and tour eight Civil War battlefields and National Parks and compare what actions were taken and who was involved at each location. The student could attend a local WWII veteran's meeting and listen to the stories shared by the members. Perhaps the local library hosts a presentation by surviving Tuskegee Airmen who share their wartime experiences from the perspective of African Americans serving during WWII (actual event we attended and it was AMAZING!). And then there are the plethora of primary source documents and biographical materials which could be read. Not only can the same learning goals be accomplished, but learning with this type of diversity allows young adults of different learning styles to retain information they might not otherwise remember. It is these exceptional and unique opportunities which can be highlighted in course descriptions, should a high schooling family choose to prepare this document or a college require it for admission. Being intentional about writing course descriptions proved most valuable for courses we designed or courses developed from internships and shadowing experiences. When designing a course, I felt it was important to keep a running log of educational experiences, online resources, and learning resources, just as I would if I were compiling a course as a traditional classroom teacher. There are blessings to writing course descriptions. For us, the original course descriptions from my first high schooler could easily be cut, pasted, and edited to the unique experiences and opportunities of the high schoolers who followed. Second, though not all colleges asked for the description document, I sent them anyway. It was done and I wanted officials to have the document should they have questions. I know some parents feel this is a controversial and dangerous precedence for future home educated applicants, but in at least one situation those descriptions placed our young adult in a better position of acceptance in an honors college (because we couldn't document any of his courses as Honors or IB, which most of the applicants had earned). When the descriptions (which included reading materials) were read, the depth and expanse at which our young adult studied most of his courses could be realized. Our homeschool high school experience was just as rigorous as those students who had completed accredited IB programs. Note: Realizing that our student had the ability and desire to qualify for an IB or similar program, I researched the contents and reading materials utilized by these programs and then wove them into our studies. Again, this is our experience, not something I am advocating for every home schooled high schooler. As we progressed through high school and began researching college admission requirements, I was thankful I had records of courses my student had completed. Being intentional with writing course descriptions has served us well, in many cases. The work was done as we studied, and saved on the computer, should we need it. We did need it for our first applicant. With our second, because of dual enrollment and then an easy transition to the state college (and eventually a four-year university), the course descriptions were not necessary. On a side note, had our first and second grads followed their aspirations to play competitive collegiate sports (hence registering with the NCAA) having the course descriptions complete would have saved me a huge amount of time filling out their Core-Course Worksheets. Keep in mind as you consider NCAA and course titles, they prefer specific titles. Be aware. This information (and more) is included in my book, Celebrate High School. which was heavily revised and updated summer 2015. The revised edition contains every thing in the original publication as well as some new features including middle school sections. Join me at FPEA for my workshop, Happy (High School) Paper Trails to YOU! Celebrate High School- What Matters? "As you walk through the last years of your student's high school journey, remember the final celebration is less about the knowledge stored up in the student's mind (though that is important) and more about whether the young adult understands his or her strengths and how those strengths will bring value to whatever he or she endeavors." Celebrate High school is available here!